Slice, Everyone’s Sixth-Favorite Soda From the ’90s, Is Back — Sort OfGet ready for another LaCroix competitor. People Are Now Using Coke As a Self-tanner Instead of Drinking ItSurprise: It’s probably not the best idea in the world. A New Citrus-Coffee Soda Is a Surprisingly Great Summer Alternative to Cold BrewKeepers Coffee Soda just might be the drink of the season. Pepsi Has Released a Cinnamon-Flavored Soda Tragically Called ‘Fire’Right now, it’s quarantined as a Slurpee flavor at 7-Eleven. One of New York’s Favorite Sandwich Shops Now Has Its Own Line of Classic SodasThe Brooklyn shop will debut its own cola, ginger ale, and even a celery soda. Philly’s Soda Tax Has Cut Soft-Drink Sales by As Much As HalfRetailers say sales have dropped significantly in the first two months of the tax. Philadelphians Are Throwing a Fit About Their New Soda TaxThey’re having trouble processing how sports drinks got more expensive than beer. Coca-Cola Caught ‘Monitoring’ Its CriticsAfter funding pro-soda research, this is a bad look. Surprise! Soda Companies Are Paying Experts to Oppose Soda TaxesThe American Beverage Association was reimbursing dietitians for “their time” on social media. 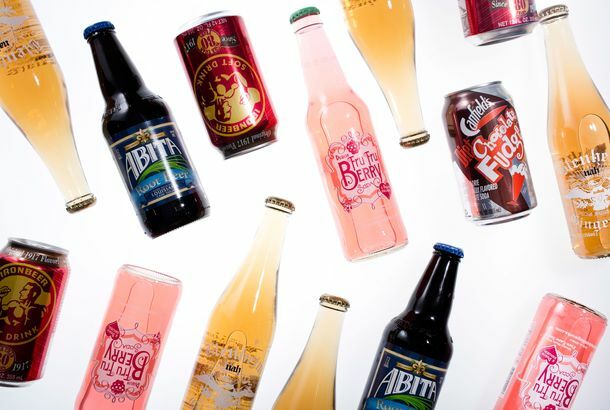 18 Classic American Sodas to Drink Before Summer’s OverHerbal Dr. Enuf, Blenheim’s ginger ale, Dublin Fru Fru Berry, and more. Big Soda’s New Trick Is Charging Lazy Americans More for Smaller CansThe industry actually sold less by volume last year, but profits stayed the same. Coca-Cola Is Still Funding Pro-Soda ‘Studies’Journalists debunked a recent report that Diet Coke helps people lose weight. Coca-Cola Spent More Than $100 Million on Its Sham ‘Health Research’The company listed the scientists and groups it has funded over the past five years. The Surge Soda Comeback Takes Its Next Major StepThe Amazon “exclusive” just hit store shelves. Coca-Cola to America: You’re Just Fat Because You Don’t ExerciseA new blockbuster report says the company has provided millions of dollars in funding for studies that downplay the role of caloric intake in weight gain. FDA Proposes Cigarettelike Warning Labels for SugarDrink a Coke? That’s your 100 percent for the day. Pepsi Has a New Line of Wild-Sounding Craft Sodas“Stubborn Soda” comes in flavors like lemon berry açaí and black cherry with tarragon. Starbucks Rumored to Be in Talks for a Piece of SodaStreamA report claims the coffee giant will take a 10 percent stake. Pepsi’s Caramel Coloring Still Contains CarcinogensMaybe Pepsi can’t beat the real thing, after all. Woman Sues NYPD for Arresting Her After Sprite PurchaseAll she wanted was a soft drink. Soda Tax May Signal Death Knell for Mexican CokeAnd it’s all Bloomberg’s fault. Soda Makes Kids More Violent, Says a New StudyFive-year-olds who drank four sodas a day were twice as likely to get into fights and break stuff. Twenty-Year-Old Can of Coke Tastes ‘Insanely Great’Next up: The Ancient Pepsi Challenge. Nobody Wants to Buy SodaStreamPepsi and Coke aren’t interested. Pepsi Unhelpfully Still Filled With Pesky CarcinogenThe news is particularly bad for those who drink 1,000 cans of soda a day (or more). State Appeals Court Reviews New York’s Soda BanExactly three months after a judge struck down the ban.